Download one of our FREE Fun Sheets below for cool pictures to colour-in and more! 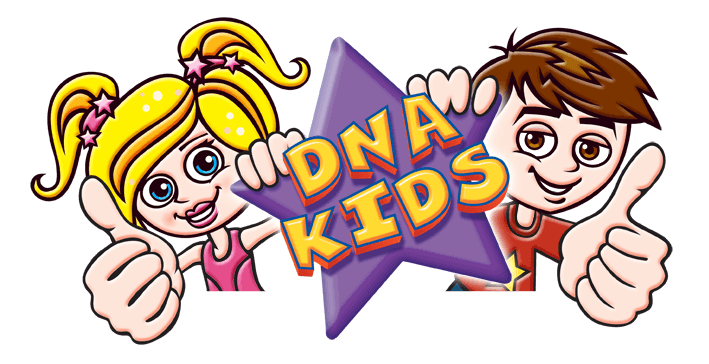 Meet the loveable DNA Kids characters! Click on a character below to find out more about them! 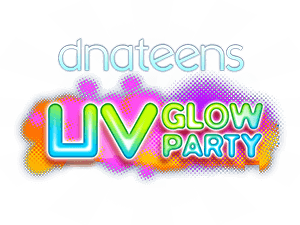 Favourite party game – DNA Limbo Challenge, Bubbles is great at this game! Favourite hobby – Bubbles loves designing fun and pretty party dresses! Favourite colour – Pink of course! 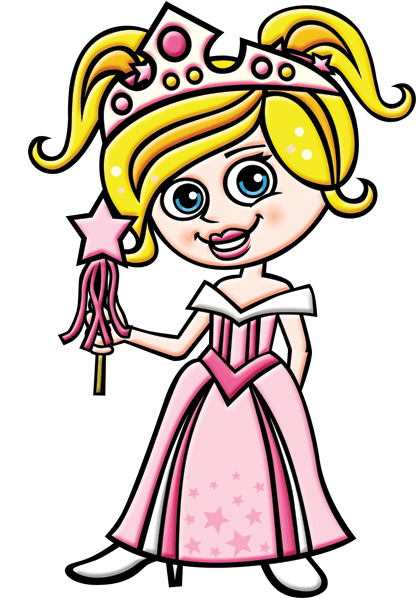 Favourite food – Pink marshmallows! 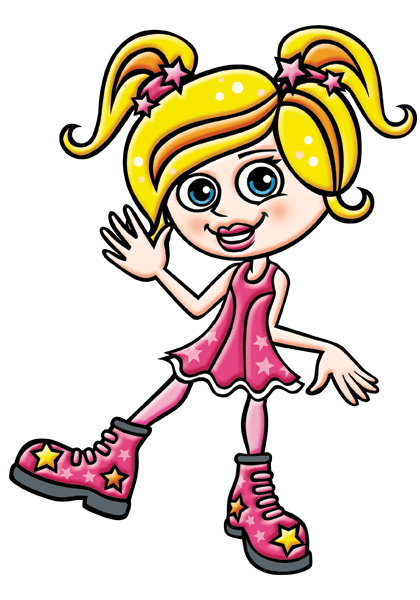 Favourite joke – What did the bubblegum say to the shoe? A: I’m stuck on you! 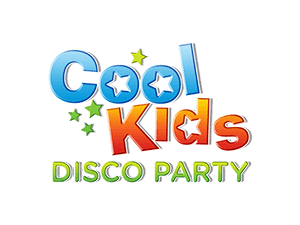 Favourite party game – Musical Bumps & Musical Statues, DJ loves his classic party games! 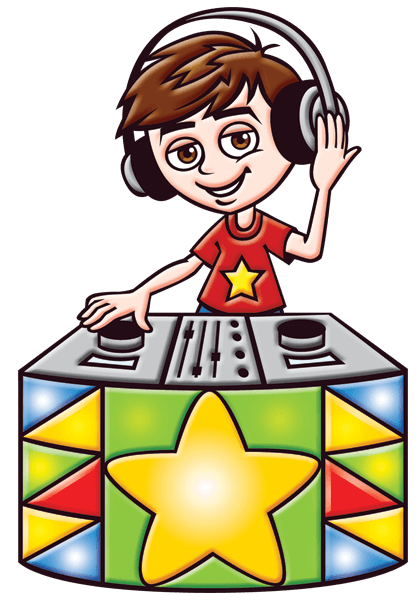 Favourite hobby – DJ loves listening to pop music and DJing of course! 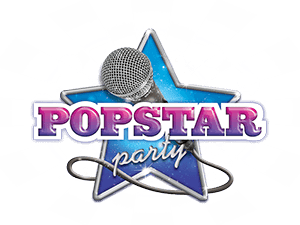 Favourite song – Happy by Pharrell Williams – it get’s everyone dancing! Favourite joke – What dance move do astronauts like to do? A: The moonwalk! 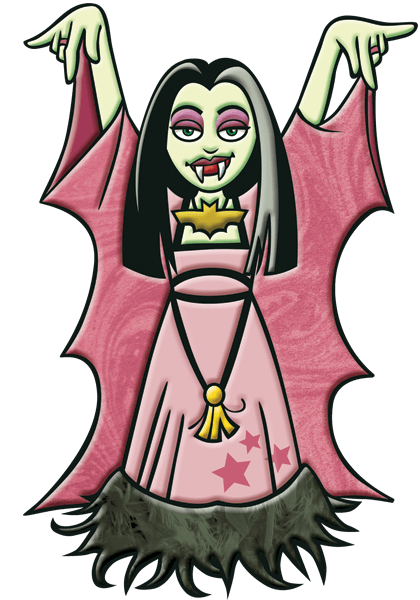 Favourite joke – Why are vampires like false teeth? A: They come out at night! Favourite party game – Casper’s Candy Hunt – Lady Vamp loves getting her teeth into some sweets! Favourite colour – Green – what else! 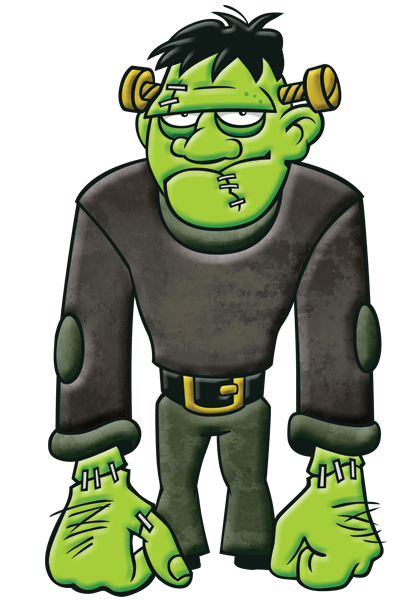 Favourite joke – How does Frankenstein eat his dinner? A: He bolts it down! 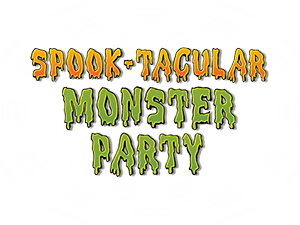 Favourite party game – Monster Statues – Frank is great at standing still! 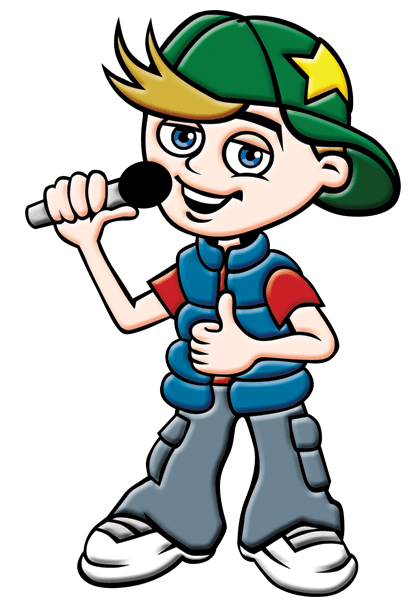 Favourite number – 23 – The number on his vest! 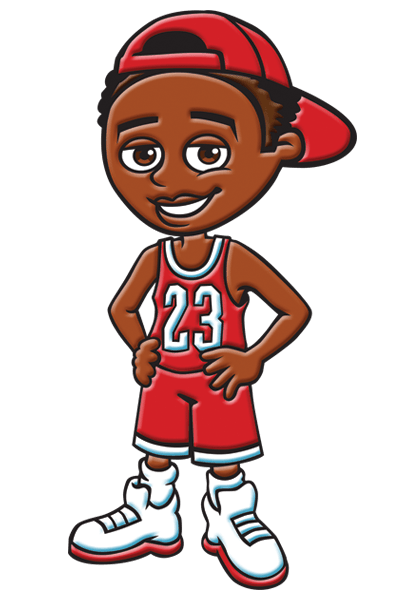 Favourite joke – Why are basketball players messy eaters? A: They’re always dribbling! Did you know? Hoop-Star Harley can jump up to 46 inches off the ground to make a slam dunk… WOW!!! Favourite colour – White – the colour of snow! 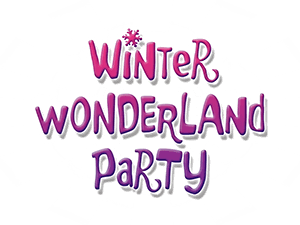 Favourite hobby – Snowball fights! Favourite joke – What is Carrot Nose’s favourite cereal? A: Ice Crispies! Did you know? Despite being scared of fire, Carrot Nose’s favourite thing to do is to roast marshmallows! Favourite party game – Building Carrot Nose of course! Did you know? 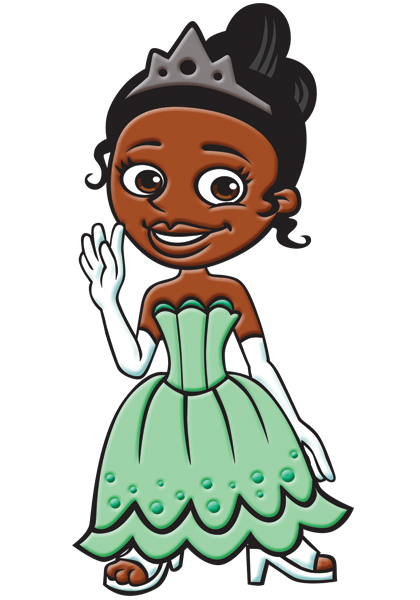 Princess Melody loves to sing all day and can always be heard humming a tune! 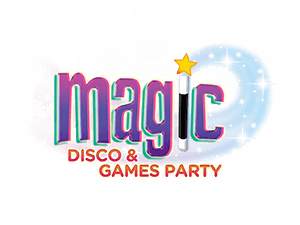 Favourite party game – Once Upon A Dream. 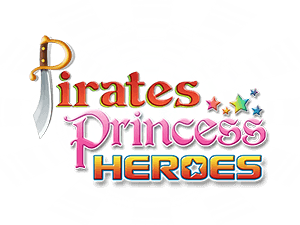 Princess Melody and Harmony love making princess dreams come true! 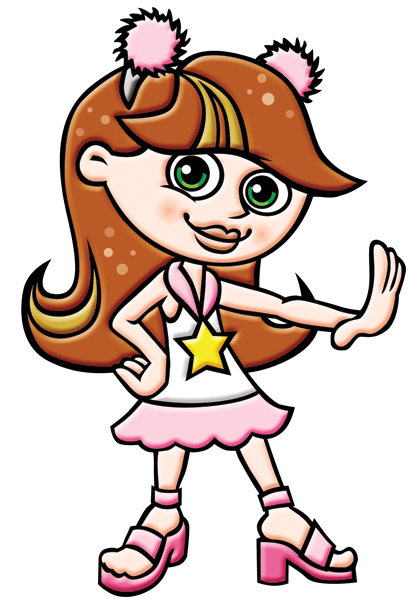 Best friend – Carrot Nose! 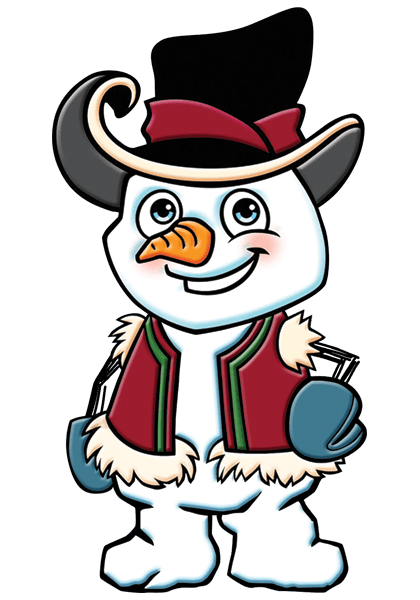 Magic power – Snowflake’s magical horn can make it snow! 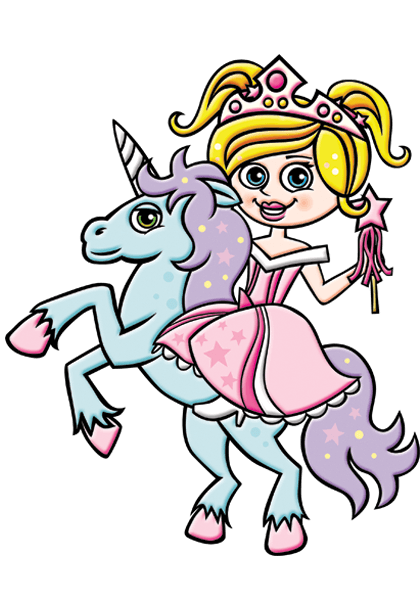 Favourite joke – What did the unicorn say when it fell? A: I’ve fallen and I can’t giddyup! Favourite colour – Yellow and Pink – or anything pretty! 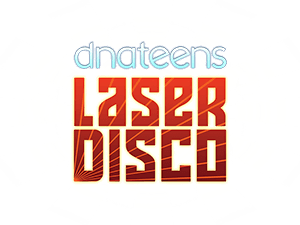 Favourite dance move – Disco Fever- no one can pull off this dance like Disco Diva can! Did you know? Disco Diva is always the last person on the dance floor! 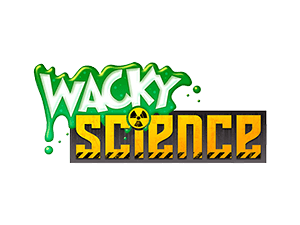 Favourite joke – How do you make a tissue dance? A: Put a little boogie in it! Did you know? Captain DJ wears an eye patch to prepare one eye to see in the dark! Captain DJ is one smart pirate! 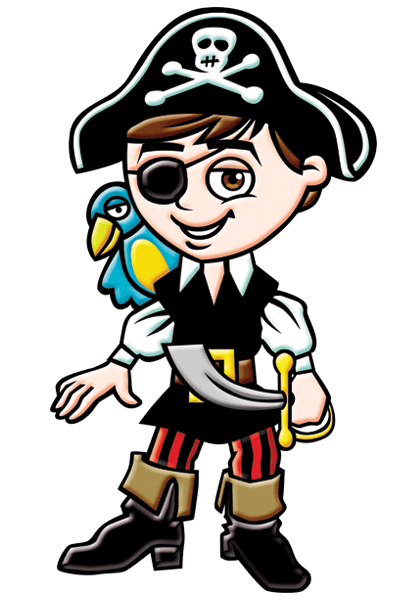 Favourite joke – What do they call a pirate who skips school? A: Captain Hooky! 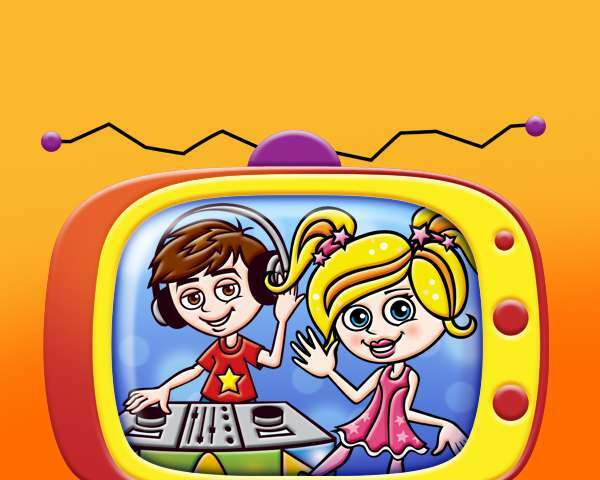 Favourite party game – Captain Sharkbait’s Sunken Treasure – Captain DJ loves hunting for another pirate’s treasure! Did you also know? 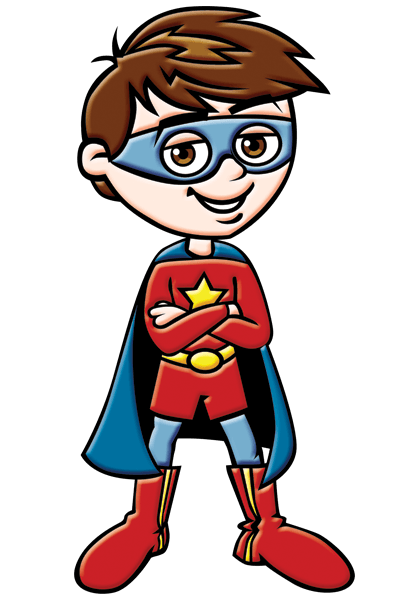 Super DJ never takes off his cape – he never knows when he has to save the day! 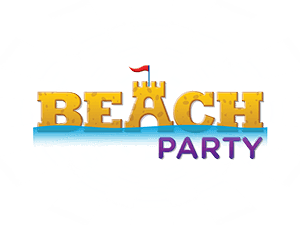 Favourite party game – Bumbling Bank Robbers – Super DJ loves to stop crime! 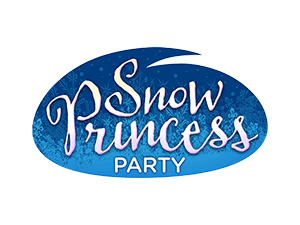 Favourite party game – Once Upon a Dream – every princess loves a fairytale ending! Did you know? Princess Bubbles has the same colour eyes as Elsa……ice blue! Favourite joke – What does Ariel like on her toast? A: Merma-lade! 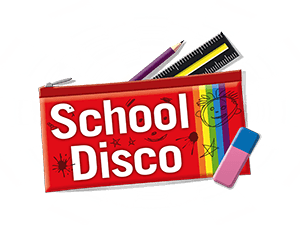 Favourite song – The Cha Cha Slide – it get’s everyone dancing! 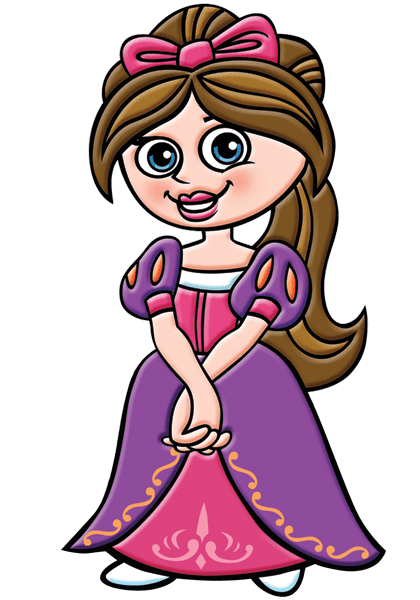 Favourite colour – Silver, purple and sparkly pink! 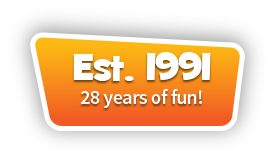 Favourite joke – What do you call a bear with no teeth? A: A gummy bear! 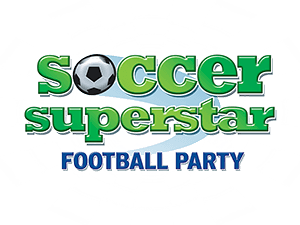 Favourite party game – Hunt for the Sparkly Diamonds! 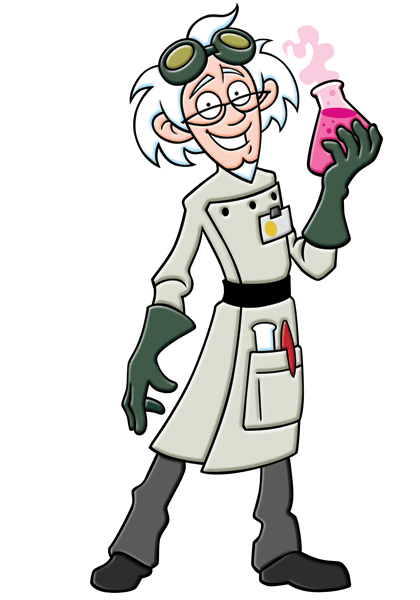 Favourite party game – Professor Bunsen’s Bumps – the professor loves things that crash with a bump! 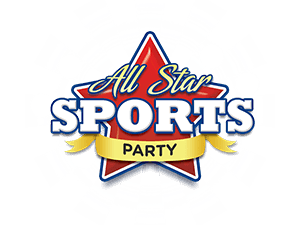 Favourite food – Pizza, cheese balls – anything ball shaped! Favourite colour – Red, white and blue – his teams colours! Did you know? Soccer Boy wears his player of the match medal everywhere – even in the shower! 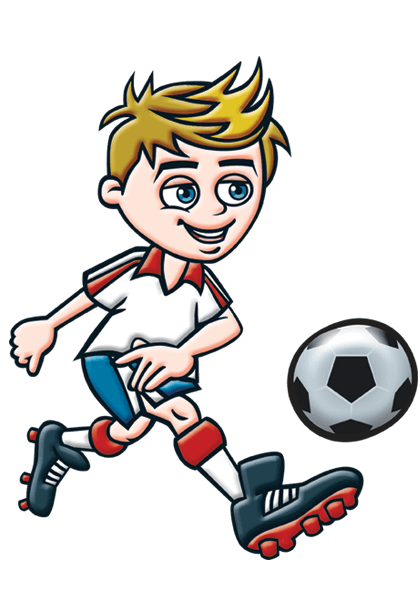 Favourite joke – How do football players stay cool? A: By standing close to the fans! 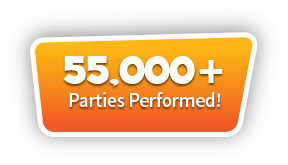 See our awesome parties in action!